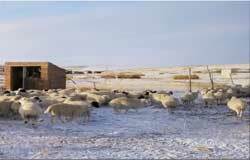 Project site: TaoLinTaLa Branch, XiMengBaYanXiLe Pasture, Inner Mongolia. 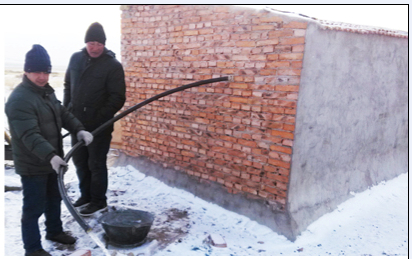 Project introduction:The project was installed in the late of December, 2013 in Xilinhot which was known as the Pearl of Grassland. The depth of well that provide drinkable water range from 45 meters to 85 meters in this area. 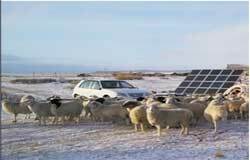 Because of vast pasture, scattered people and high cost for public grid, as well as the sharing of serious electrical loss, residents are still suffering from lacking of electricity. The local government decided to adopt some environmental schemes that can help local residents with pumping. 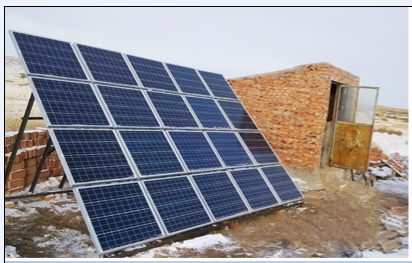 Project solution: Combining actual conditions, they decided to adopt Shenzhen Solartech solar pumping system, the service life of which is about 25 years. The system can not only satisfy residents’ requirement for animal drinking water and family drinking water, but also use the remaining water to irrigate vegetables which enable the local people to have the fresh seasonal vegetables. Economic benefit:The system generates 3285 kWh every year and during it’s 25-year service life, 31 tons of coal could be saved, and reduce emission of 16.6 tons of CO2, 0.6 tons of SO2, 0.5 tons of smoke dust and 8 tons of ash.